● KOWA KOUGYO Co., Ltd. Started the sewing and assembling of seats for automobiles. Established Murakami Seisakusho, a limited private company. Changed the organization into Murakami Seisakusho CO.,LTD. Opened the company's main plant in Suzuka, Mie Prefecture. Opened the company's Saitama Division in the Tokyo Seat Gyoda Plant. 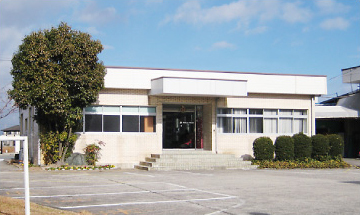 Moved the main factory (from Higashitamagaki-cho, Suzuka, Mie Prefecture to Jike-cho, Suzuka). Changed the company's name from Murakami Seisakusho CO.,LTD. to TOKAI TRIM CO.,LTD. Opened the company's Yamagata Plant in Nanyo, Yamagata Prefecture. Started trading with NHK Spring CO.,LTD. Started trading with Aprica Kasai CO.,LTD. Established TOKAI TRIM (ZHONGSHAN) LTD. in Zhongshan City, Guangdong Province, CHINA. Moved and expanded the above corporation. Established TOKAI TRIM VIETNAM CO.,LTD. in Bac Ninh Province, VIETNAM. Moved and expanded the above corporation to Bac Giang Province. 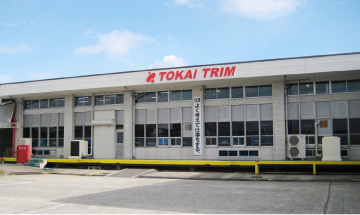 Established TOKAI TRIM (THAILAND) CO.,LTD. in Chonburi Province, THAILAND. Established TOKAI INTER TRADING CO.,LTD. in Bangkok, THAILAND. Merged with TIROS Co., Ltd., and established (New) TOKAI TRIM Co., Ltd. Increased the capital to 900 million yen underwritten by TOKAI TRIM Holdings Co., Ltd.